Russians regularly lose their savings in the pyramid schemes flourishing throughout the country. And the government is doing – can do – nothing about them. August 1994 was marked in Russia by the fall of the massive MMM pyramid scheme. The number of people who lost money in the scheme, which separated the Russian public from their savings, with promises of fabulous interest rates (it is impossible to give an exact figure as the company’s ‘shares’ doubled in value every fortnight) is put by various sources at between 5m and 15m. The ‘Union of MMM Shareholders’ estimates that they lost a total of £50 billion; and this pyramid was followed by many others that took three billion roubles (£37m) out of Russians’ pockets in the same decade. One would have thought that they would have learned their lesson. But no. On 17 September 2014, panic spread through the Russian internet: the offices of the large Russinvest microfinance company, with branches in 33 cities, all shut down within an hour. When asked whether the 180% interest rate didn’t seem unrealistic, Yelena says she doesn’t think of herself as a financially literate person: she was just tempted by the offer and decided to take it up. According to official Ministry of Internal Affairs figures, that makes her one of 19,634 people to fall for the scam. Some lost a few thousand roubles when Russinvest closed down, others several million, with a total figure of five billion roubles (£61m). Interestingly, just before it disappeared, Russinvest ran a big PR campaign in the media. The CEO of one of Kirov’s largest papers, with a circulation of 167,000, even wrote a long piece about the pleasure he had had working with the company. Kirill Loginov, who worked for Russinvest, told me what happened on 17 September. ‘Olga Dallakyan, our finance director, turned up at the office. She removed every kopeck we had there, plus our laptops, and said, “Go home, we’ve closed down.” Then she got in her car and drove off. We didn’t even get our employment record books back.’ Loginov also said that his office colleagues had put money into the company, and collectively lost 1.5m roubles (£18,000). The police are now investigating Russinvest’s sudden closure; and its CEO Anvar Navuillin was supposedly arrested in Saratov, but then it turned out that the arrested man was just a front – a homeless person who several years ago allowed Navuillin to use his passport details for 5000 roubles (£60). The police are not optimistic about their chances of finding him or returning depositors’ cash, which they believe has already been spirited out of Russia. Russinvest is only one example out of many. The Interinvest microfinance company closed down in May this year, after promising depositors 10% interest per month; and its 25-year-old owner Stanislav Lapshov allegedly ran off with 15.5m roubles belonging to more than 200 people. He is now wanted for fraud. And on 4 June the offices of two other firms operating in six cities, which had been advertising interest rates of 5% paid out every ten days, also closed for business, along with their guarantor company. No one knows how many people lost their money, but according to the police, 13m roubles (£160,000) disappeared in the Perm region alone. 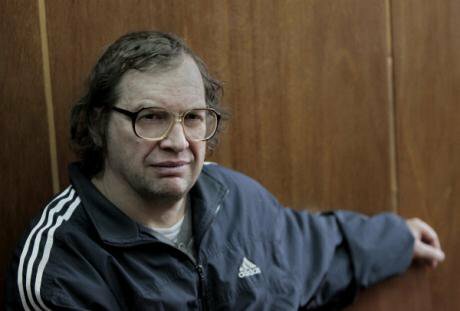 On 10 January 2011, Sergei Mavrodi, the man who had set up the MMM pyramid scheme that collapsed in 1994, announced a new one: MMM-2011. It works on the same principle as the old scheme: you put in some cash and a month later you can withdraw it with interest. At present Mavrodi is promising a monthly return of 50%. The interesting thing about MMM-2011 is that as a company it doesn’t exist. When Mavrodi set up this new pyramid he didn’t register it as either a legal entity or a voluntary organisation, calling it instead a social network. Its structure is indeed reminiscent of a social network: it has no central administration, only members at a number of levels: those who recruit ten new members, those who recruit a hundred and those who recruit a thousand. There is also no strict hierarchy: anyone can invest whatever they like and withdraw it with interest when they want. On the new scheme’s site it is its most active members who decide the interest rate for the next month. Mavrodi himself is described as a mere consultant, and he denies taking any profits out of the scheme. He is right. In August 2013, Russia’s Ministry of Finance drafted an amendment to the law on fraud, which would make ‘the organisation of a financial pyramid a crime punishable by up to ten years in prison and a fine of up to 1m roubles. The draft was presented to the government for scrutiny but the Cabinet sent it back for revision, and nothing has been heard of it since. In May 2012, however, the police in a district of the Novosibirsk Region did charge Sergei Mavrodi with aiding and abetting an illegal business. A local member of the MMM-2011 scheme claimed that Mavrodi had offered him financial advice and money to use for advertising and information materials. However, the case was closed by the regional police authority, which couldn’t find anything illegal in Mavrodi’s actions. It’s worth mentioning, though, that in 2012 he set up yet another structure – MMM-2012, which exists in parallel with MMM-2011 and differs from it only in the fact that depositors’ money is held not in roubles but in the imaginary currency of ‘mavros’ (1 mavro is coincidently equal to 1 rouble). The investor hierarchy has also disappeared, and the scheme is now presented not as a social network but as a friendly society. There are no official estimates of the number of investors in each of these two schemes, but our information suggests that MMM-2011 has about 120,000 members, and MMM-2012 about 70,000. Another common means of parting Russians from their money is direct marketing (MLM). MLM companies come in two distinct types: the first (bona fide) type actually sells goods; the second merely attracts new members. The two types can also be distinguished by their geographic location: most trading firms are based in Europe or the USA (Avon, Oriflamme etc. ), whereas the other kind are generally in Asia. This pyramid can grow to infinity. For each two people introduced, the person who has introduced them receives $250 (£160), and particularly keen members can theoretically earn a decent amount of capital. But in fact it doesn’t work that way. Only 14% of those in the pyramid can get their 60,000 roubles back, and even fewer can make a profit. The first weakness is that at any stage you might not find two friends prepared to buy goods for what is, for the average Russian, a lot of money. In this case the growth of the pyramid stalls and the flow of money ‘upwards’ drops, according to the number of links at the ‘stalled’ level. If a whole ‘layer’ fails, as it usually does on the second or third level, then the whole scheme collapses. As a result, a minimum of seven people, not only do not make any money, but lose what money they had; and the company has hundreds, if not thousands, of such ‘defunct’ pyramids – that’s how Qnet’s bosses make their money. The second problem is the structure of the business itself. As with any pyramid, it is the last people to join – the levels with the most members – that receive the least benefit, or indeed none at all. 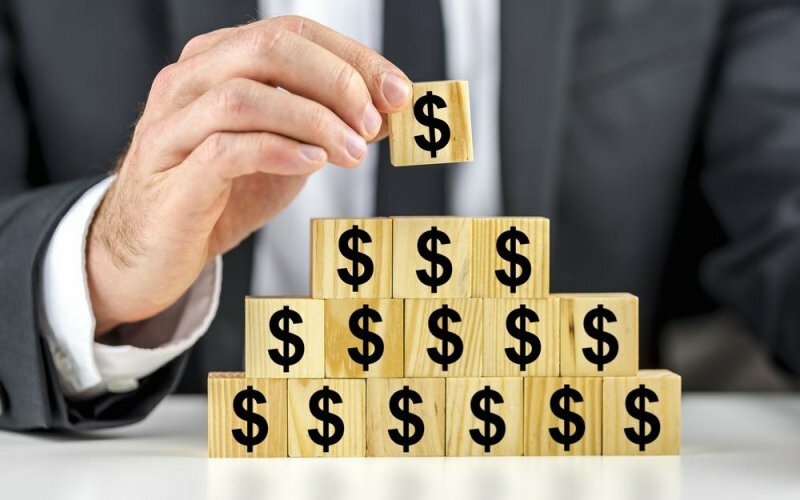 In some pyramids, people on the second lowest level may still make some money, but in Qnet even those on the fourth level from the bottom can only just break even, and begin to make a little money. A simple calculation reveals that only 14% of those in the pyramid can get their 60,000 roubles back, and even fewer can make a profit. We teach our children about macro-economics; American children learn how to set up their own business.